Our wider 12" x 30' rolls of engineer grade reflective tape can be used in a variety of applications where night time visibility is needed. It can also be used on a vinyl cutter to create reflective numbers, letters and designs. 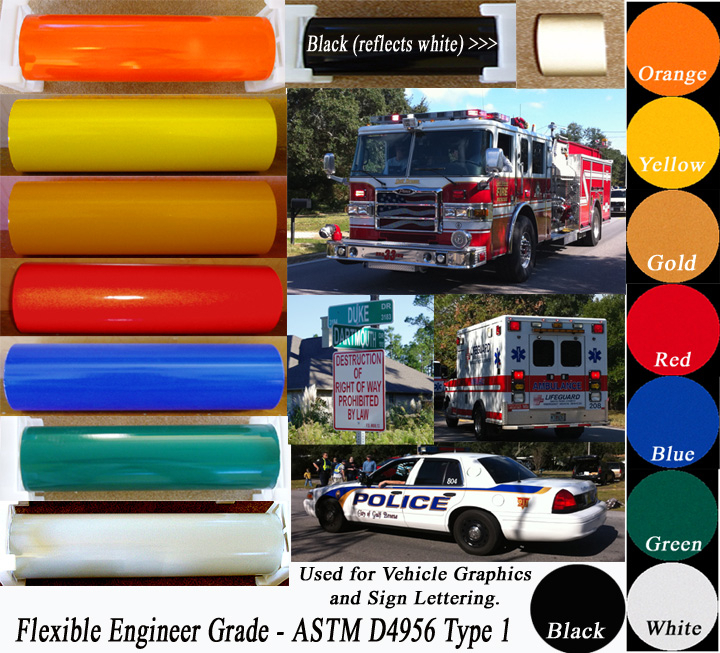 This ASTM D4956 Type 1 material exceeds all federal and state requirements. It is outdoor rated at 7 years. To apply the material simply cut off the amount you need, peel off the paper backing and apply to a smooth, clean surface. 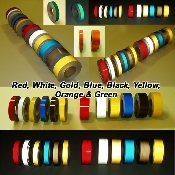 Colors available are White, Red, Yellow, Gold, Blue, Orange, Green and Black. Our 12 inch x 30 foot rolls are priced at $119.99. You may choose your color below by using the drop down menus. This is a flexible engineer grade material which means that when it is warmed it will stretch and conform to uneven surfaces. When applied in temperatures that are at or less than 78 degrees it will perform just like standard engineer grade.